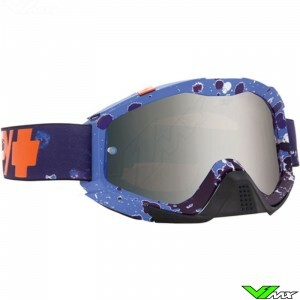 The SPY Klutch goggle is an advanced motocross goggle produced by SPY optics. 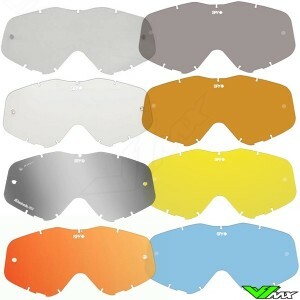 This motocross goggles has technical characteristics which are desirable for motocross riders who ride at the top level. A patented ventilation system for supplies cool and filtered air into the goggles. In addition, the frame of the SPY Klutch goggles is made from flexible polyurethane. This ensures that the SPY Klutch goggles fits well on the helmet. On the frame a Geo-force face foam is applied which makes sure the goggle has a comfortable fit on the face. The top of the face foam is provided with special moisture draining foam, so that the riders face remains dry. 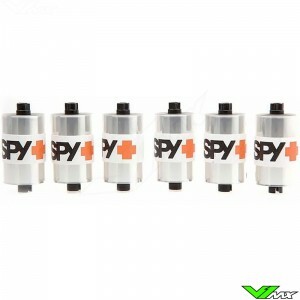 The Lenses by SPY always provide 100% UV protection and are also anti-fog and scratch resistance. Many Accessories can be bought for the SPY Klutch goggles. Unwanted dirt can be removed using tear-offs or a roll-off kit with roll-off rolls. The lens of this optical equipment can be changed after your own preferences. There are dark lenses that block a lot of light and clear lenses that let in almost all light. In addition, a variety lens colors are available so you can have maximum contrast with the environment that you are riding in.